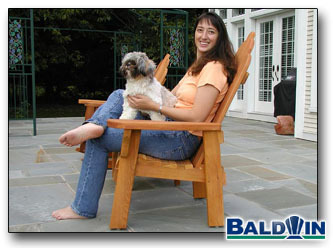 Baldwin's Lawn Chair is both Beautiful and Comfortable. It is just the right height and angle for eating, drinking and socializing. This is for our customers who like the look of Adirondack Chairs, but find them hard to get out of. This chair offers the best of both worlds and it ships mostly assembled.